Firecracker Softball has partnered with AthleteTypes, the global leader in athletic mindset assessment, coaching, & training, to help our coaches, players, and teams reach their full potential. Click buttons below to learn more. Be sure to make purchases from this page to receive Firecracker discount. Who has taken the TAP Assessment? 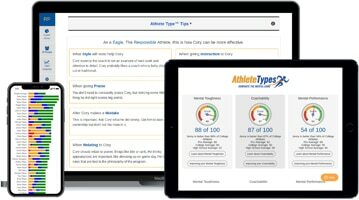 What College Programs use AthleteTypes?